This is the last waterfall I photographed during my day trip up the Old Columbia River Highway about a month ago. 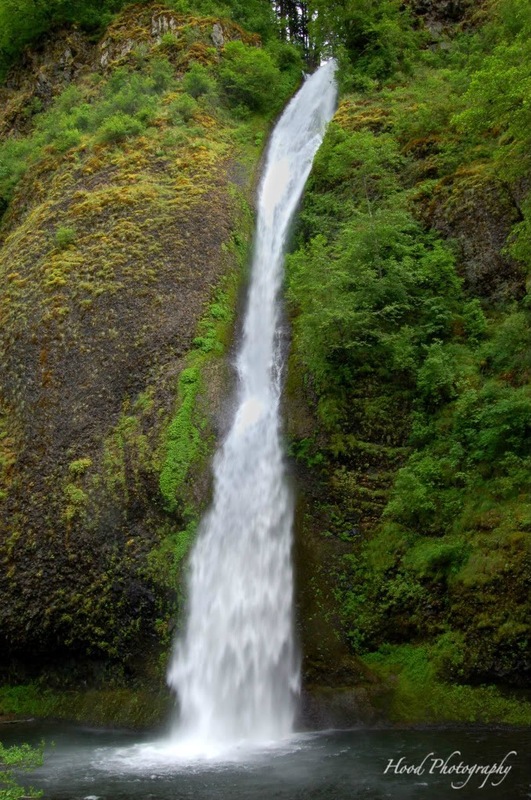 Horsetail Falls, at 192 ft., is one of the easiest to access waterfalls on the loop, as you can get to it right off the highway. There is a trail you can follow up to 2 other falls behind it. There is also the pool at the bottom which is good for wading, but it is cold!!! Thank you for following the tour! If you are in the Portland Metro Area, I highly suggest checking out these falls, as well as the other beautiful sights the Columbia River Gorge has to offer. Here is a map of the Old Columbia River Highway, which shows the route I took that day! Such a descriptive name!!! Love the shot! As a child, my family would take drives up the Gorge from our farm in Hillsboro. Horsetail Falls was always my favorite...just because of it's name...I was such a horse nut...well, guess I still am. A beautiful shot...it looks just the same as 40 years ago. The waterfall DOES look like a horse tail! But I love any waterfall, also to paint them! Beautiful shot, my parents used to take me to that area when I was a kid....your pictures remind me that I really need to get back there!